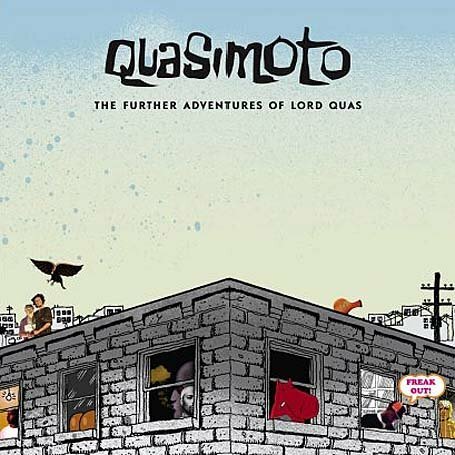 When I heard the first Quasimoto LP back in 1999, I was pretty blown away. 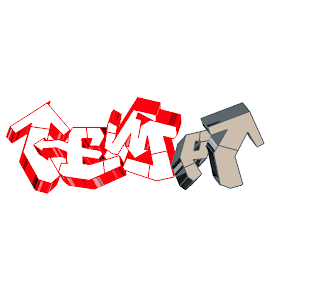 I heard the track 'C'mon Feet' in a mixtape, and it was like nothing I'd ever heard. 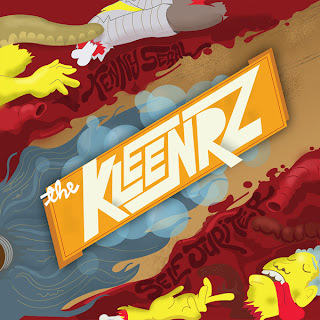 It was the perfect mix of Hip Hop and psychadelic that was truly left field. It was something I'd always felt Hip Hop had lost since it'd become so conservative and trend bound. I knew it'd be an instant classic. 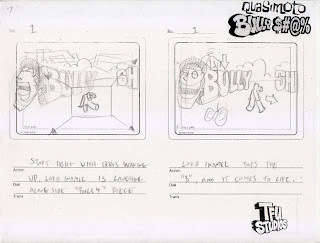 In late 2004, Egon called and asked if I was interested in a possible animated music video for the follow up- The Adventures Of Lord Quas. I answered in two parts, a) I said there was no way I WOULDN'T be somehow involved with this record, and b) I was working on another video AND working a full time, job, but, I would make it happen. 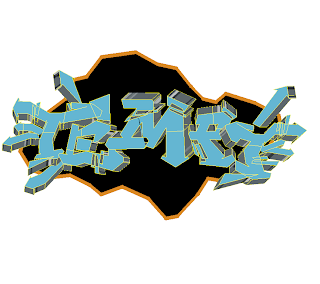 Egon and I had always talked about making an 'animated graffiti' video, and I figured this was the perfect chance. It was great news amidst a pretty dismal time in my personal life, dealing with break-up as well as seriously ill parent. 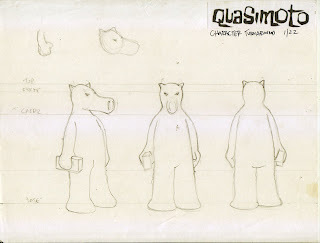 I first set off to get the 'Quasimoto' character design nailed down. It was a strange aardvark sort of creature, and I worked closely with Jeff Jank to get the right look and texture. 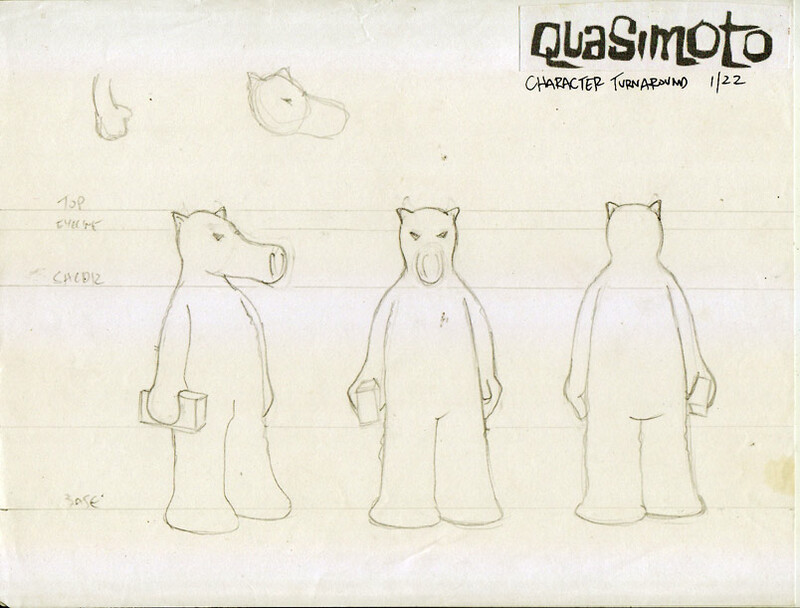 The character itself was the work of DJ Design, and Jeff had sort of fostered the look and attitude of Quas since. 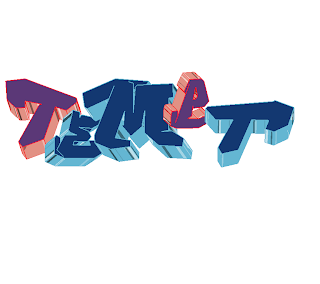 I wanted to get it right, but, I ended up spending a lot of time trying to get the design settled, and just needed to get the animation started. Here's a couple of the prints that've been made over the years. Mostly as gifts, but, some have been commissioned. Usually I work with a still from a video, but, sometimes, the image is custom, which is a PhotoShop file, that's printed hi-res. And the foreground imagery is EPS. 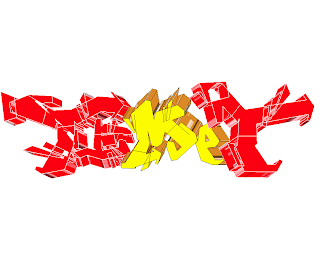 That gets printed on acetate, and, the back is painted with an opaque white, giving it an 'animation cell' look. This is a series of artwork created by Tony using a specially made device that allows him to browse a laptop, using his eye movements. Tony was stricken with ALS (Lou Gherigs Disease) which is a degenerative disease that causes almost total paralysis. 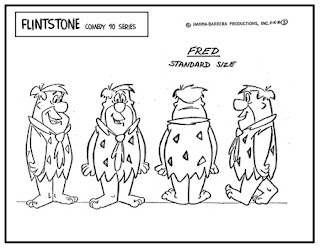 About 50 or so years ago, Fred Flintstone was the Homer Simpson of his day. The Flintstones were the first prime time cartoon, that found an adult audience. It went on to have a 25 year run as well. That's why it's surprising to see that Fred Flintstone was ALSO the spokesman for Winston Cigarettes. Nowadays this seems like a parody , or someones idea of a joke. This WAS at a time when the health effects of cigarettes weren't very well proven (it was referred to as a junk science at the time). But, it's probably more so the tobacco industry slyly trying to pair this kids show with their product. Probably not so different than fast food tie-in's, which, we may jts look back 60 years from now and see as just as caustic. 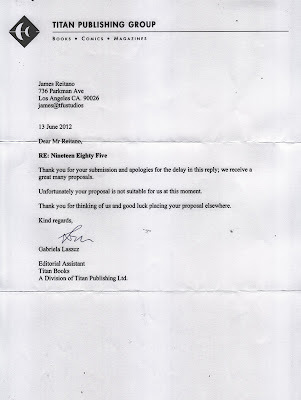 While rejection is the most important part of the game for any artist/ writer, I still can never get used to the good old fashioned rejection slip! This was a character that was dreamed up a while back, based on my fascination with Miami Bass/Lowered Truck culture. 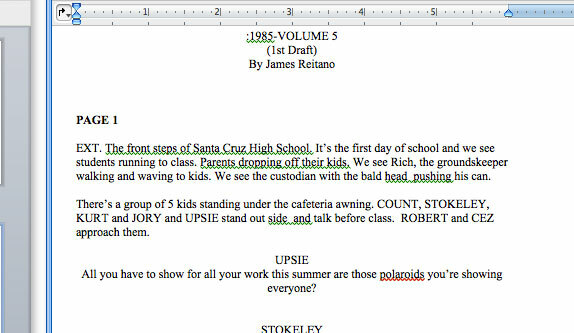 I really started with this animatic below. From there, I actually dreamed up a soundtrack, and worked with a friend of mine on a short script, and built out this 'intro' below. The whole story seemed to center around his 'hair', so we dreamed up a roster of characters based on that (Jerry Curl, Liberty Spike..etc). Pretty goofy stuff but a lot of fun. Finishing up the final touches on this guy. Lots of text to fit in this gate fold, and details, but the cover is about good to go. 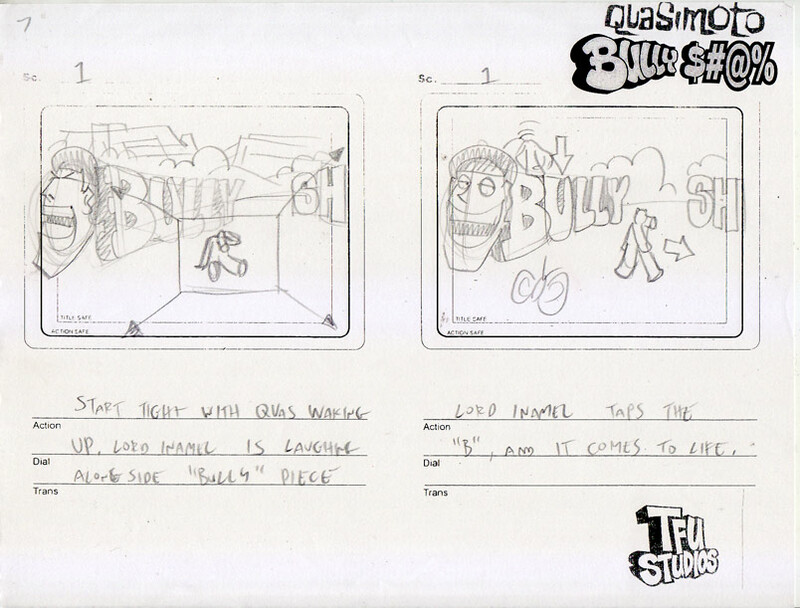 Most of the art for the cover was taken from the music video, that should be released any day now. On sunday I went and saw a 3D movie, which I've only done about 4 or 5 times. I was excited about the actual movie, and the 3D was more of the 'neato' thing on top of that. About 20 minutes in, I kept taking my glasses off, more curious as to the process, than the actual effects. And that's my biggest problem with 3D. It makes such a spectacle of itself, that I forget what I'm actually there for. To see a movie. It's still a kick, and kind of neat, but ultimately, reminds me that theaters and the studios are desperate to keep people in their seats. Even showing an ad before the movie showing a TV set blowing up, followed by the tag line demanding ' See it in the theater!!!!". I'm not sure how long audiences will be lured to spend (sometimes) double admission, and be asked to watch about 20 minutes worth of ads, just to see a movie. 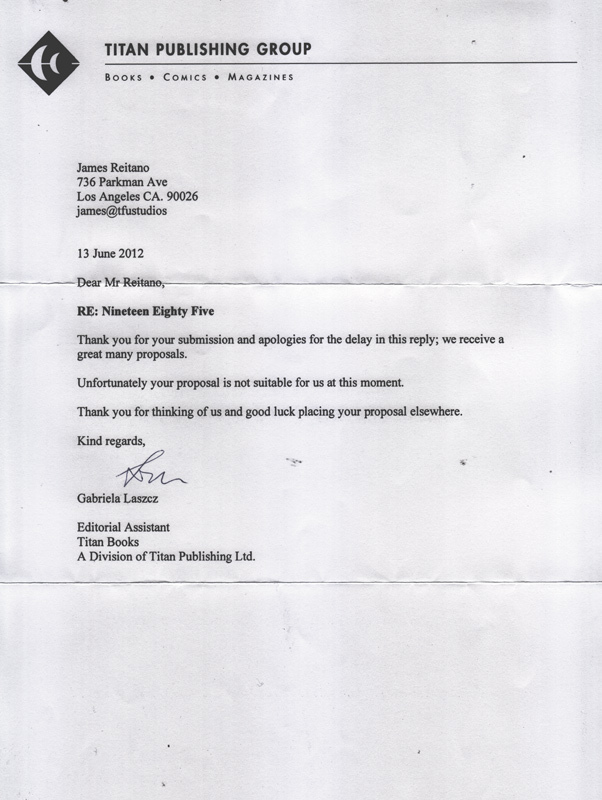 It just goes to show, that in the end, we just want to be told a good story. Some more Rankin Bass magic here for you. The people who brought us the Jackson 5 cartoon, got hit up by The Osmonds wanting their own show.